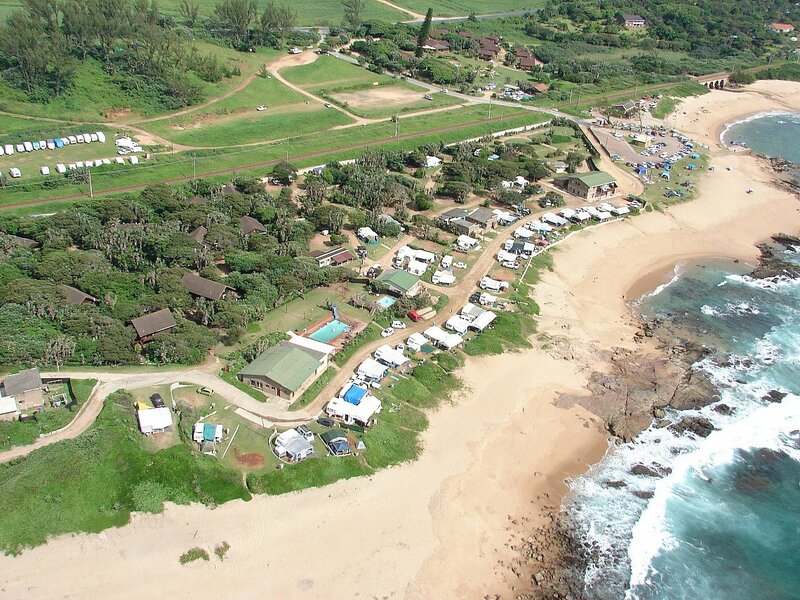 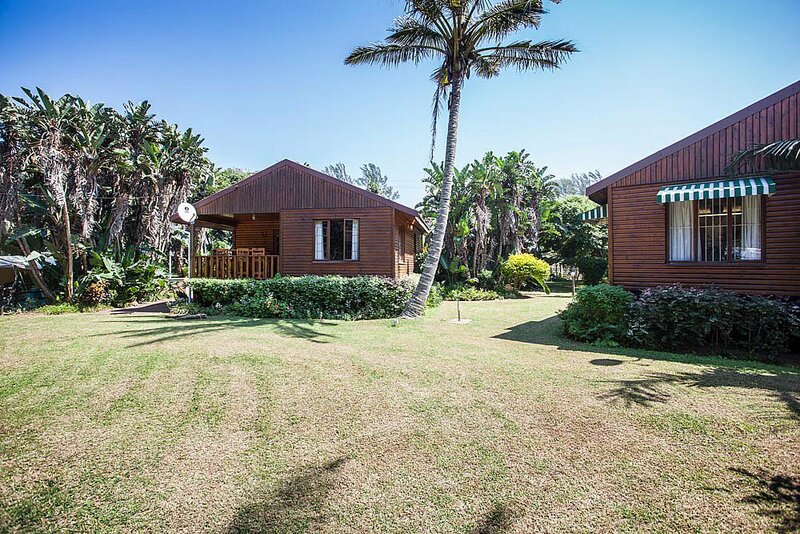 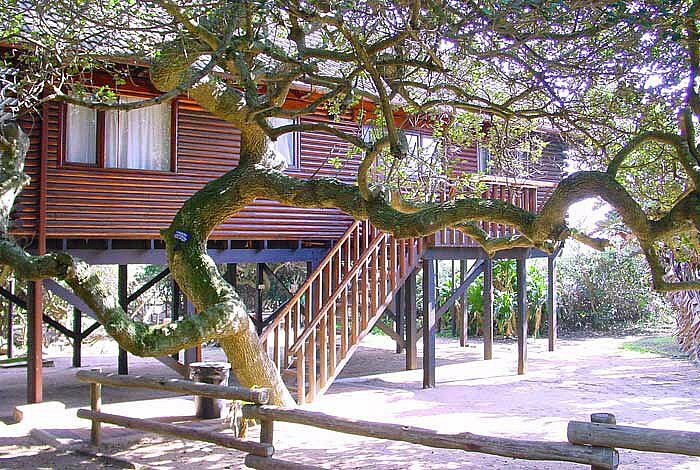 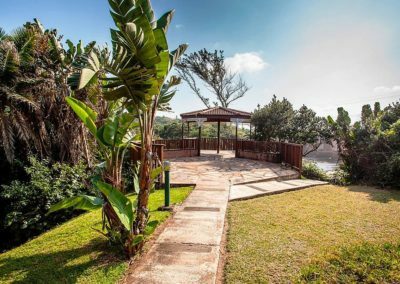 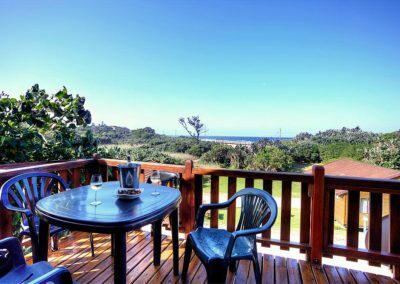 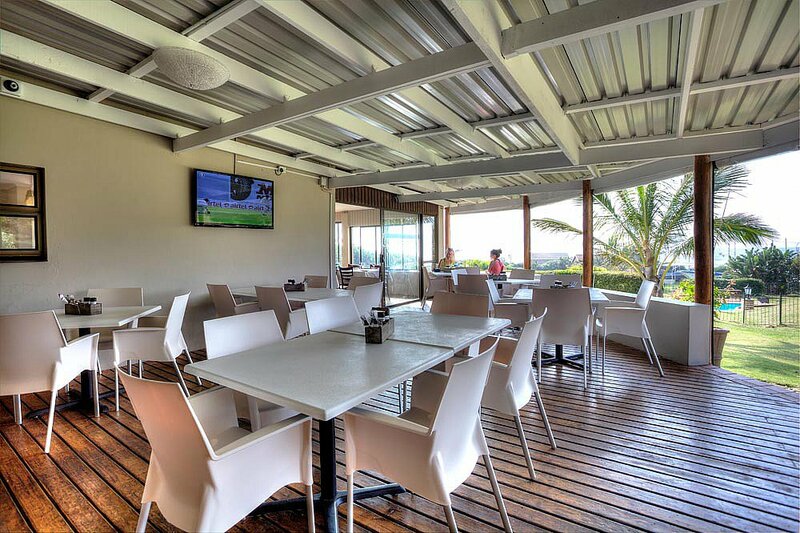 Rocky Bay Resorts is situated on the scenic South Coast of Kwa Zulu Natal less than an hour away from Durban. 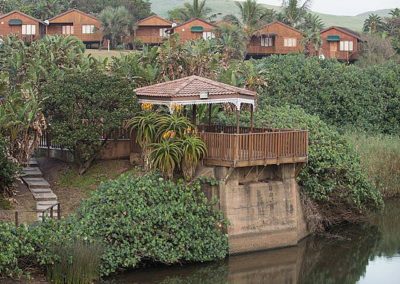 Glorious summers and temperate winters, surrounded by golden beaches, indigenous forests and rolling hills makes Rocky Bay Resorts an all year round prime holiday destination. 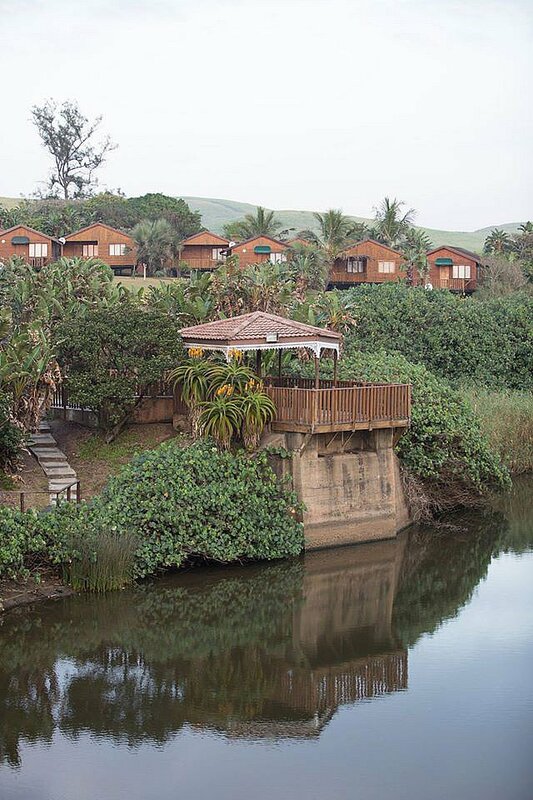 Rocky Bay Resorts boasts accommodation to suit every one of your needs from one bedroom log cabins to a four bedroom eight sleeper apartment, caravan park with many sites offering a sea view and a conference centre all set within a luscious coastal environment. 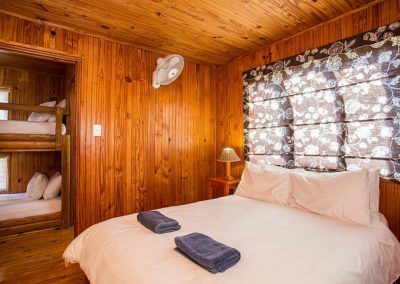 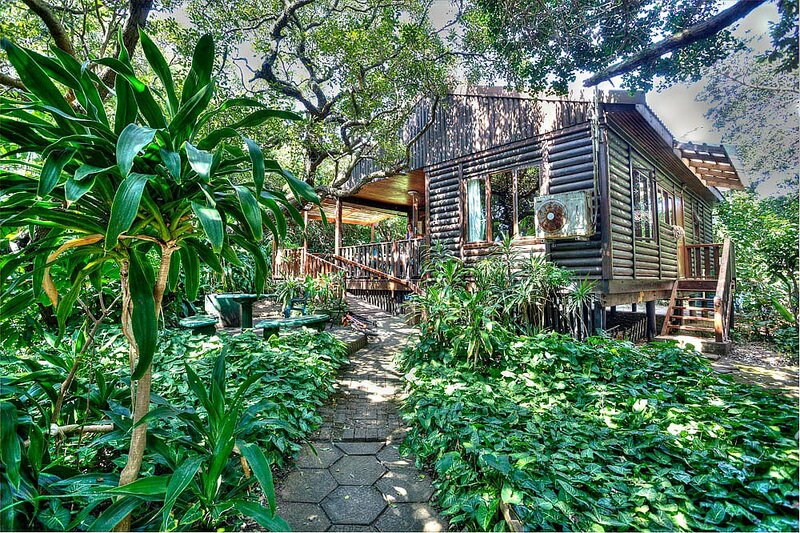 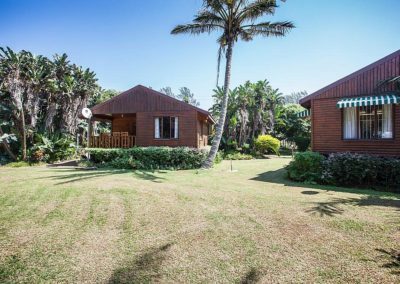 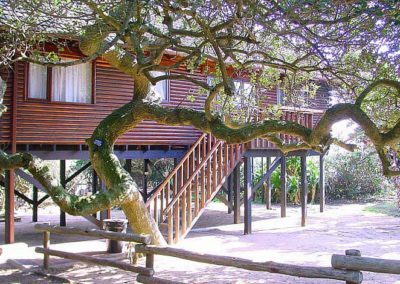 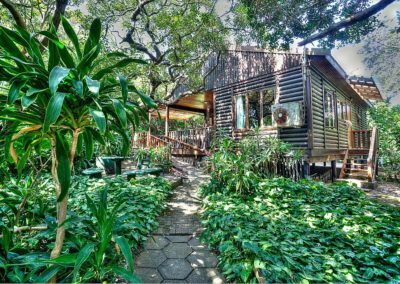 Our homely log cabins at Rocky Bay Resorts are totally self-contained with private deck and braai area, fully equipped kitchen, television with DSTV as well as outside showers to rinse off after a day at the beach. 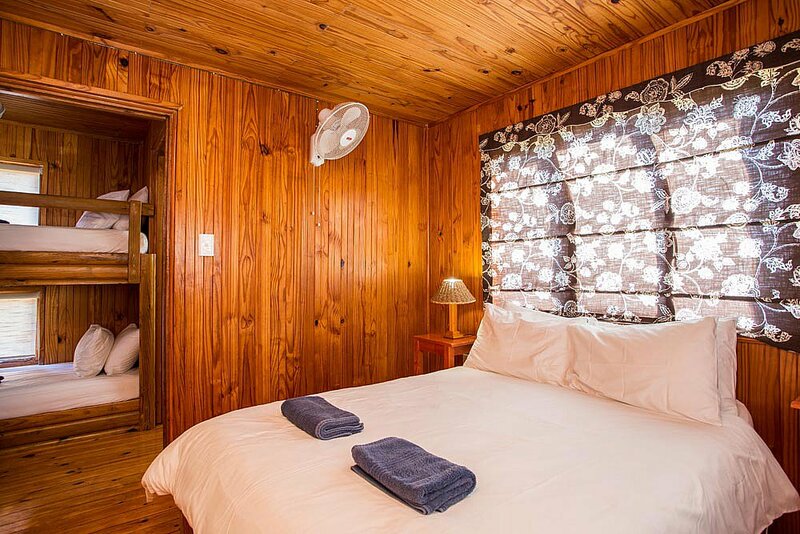 All log cabins have secure parking on site, 24 hour security and access controlled gates. 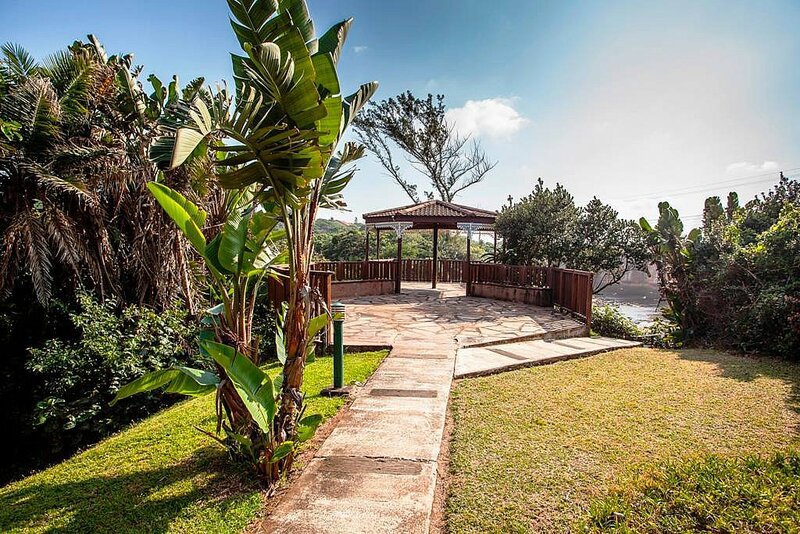 Rocky Bay Resorts also offers a wedding package and we will endeavour to provide an unforgettable beach venue for you and make your special day memorable by giving you and your function our personal attention. 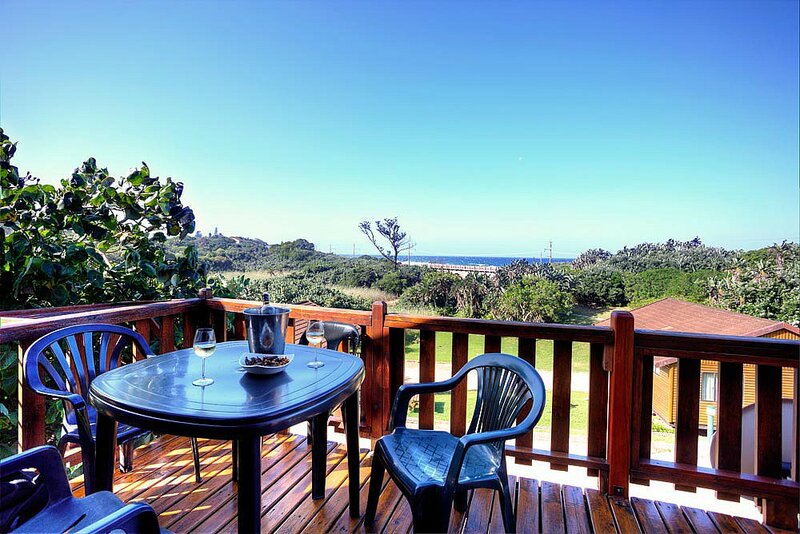 With turquoise blue waters and dramatic sand dunes Rocky Bay Resorts is the perfect place to have your honeymoon. 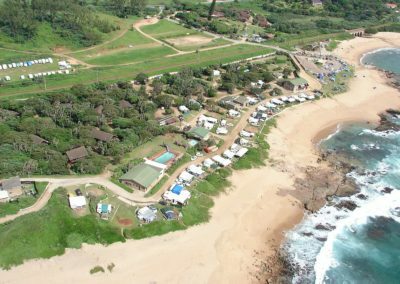 You can enjoy the secluded beaches and many rock pools the beach has to offer. 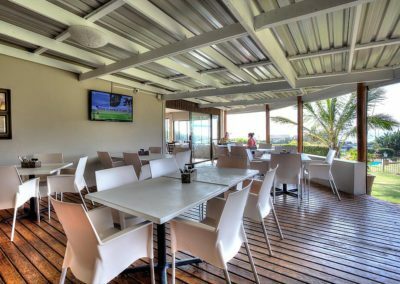 The Sugar Baron offers guests the opportunity to enjoy scrumptious meals, awesome views and thirst quenching drinks without even having to leave the resort.